Helen McLean, (incumbent) was born in Fairbanks and raised in the “bush” at a family owned hunting lodge. She was raised with the skills needed to make do with what you have until the next trip to town. This has given her the personal skills to be adaptable and to realize the value of sustainability. Helen worked in and sometimes managed her family’s business in her early adult years. This experience helped her acquire business skills. 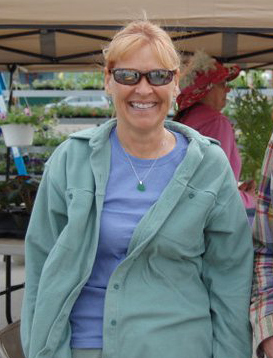 Helen has worked in the greenhouse/nursery industry for Risse Greenhouse for 19 years. Four of those years were as Grower/Production Manager and three more as General Manager/Grower. Her responsibilities include growing, financial planning, customer service, marketing, and cooperative efforts with other local greenhouse businesses. Helen has come to know some of the challenges of growing in this state, and has great respect for the work of our area farmers. She believes that we in the Interior of Alaska have the ability to work together to form stable local sources for food. She can really run a kitchen and produce results. She fosters teamwork –includes everyone. She is just a great person to work with and has the greatest supportive family!